BANDA is a world music band from Slovakia. Since having been founded in 2003 it has been striving to follow its own road of perception of the genre. Slovak traditional music serves as our basic musical source. Nevertheless, with pleasure we mix it with foreign and extragenre material. We emphasize thorough knowledge of the folk musical tradition. The melody and the text of the song are not the only topic of interest for us, we are interested in the local dialect, way of polyphonic singing, ornamentation, harmonization and rhytmization of the folk musicians as well. 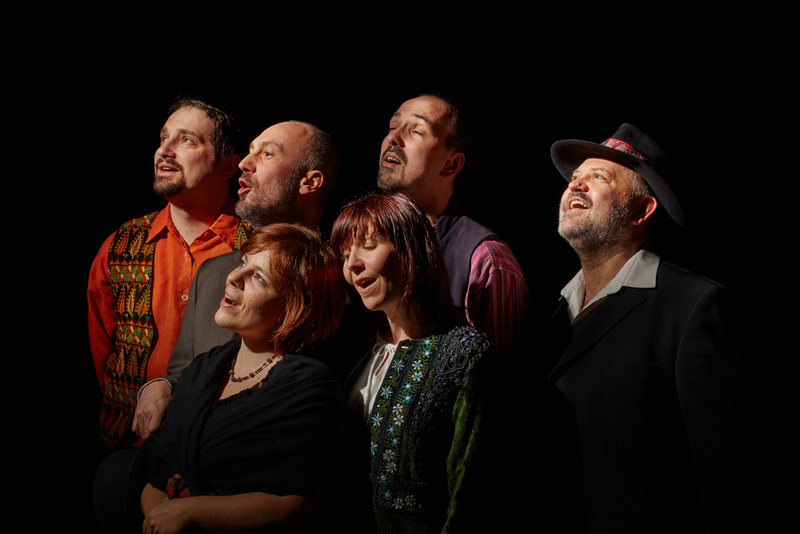 In its production, Banda uses acoustic instruments and their sample, rich vocals respecting tradition and local specialty, albeit in a new, original nature. As samples of its most important performances let us mention Festival Pohoda Trenčín, Boatyard Piešťany, NAY Dance House, Folklore Festival Východná, concert series in Trondheim, Norway. As a particular success the band considers its participation at the world music festival in Rudolfstadt, Germany, the Folk Vacations in Námešť nad Oslavou, Czechia, and the Mikolajski Festival in Lublin, Poland. The concerts in the Italian cities of Brendola, Viggiano and and Magliano, in Lvov, Ukraine, Plauen, Germany, Vienna and Krakow were successful as well. the bag-piper Juraj Dufek. Since Banda appears to be created for dance, it frequently works together with dance groups Partia and CreDance. Banda hosted the singer Zuzana Homolová as a frequent guest. The clip for the song Šmerc has its origin in this film. If all the Bands of the World is a double concert series organized regularly by Banda twice a year in DK (House of Culture) Zrkadlový háj in Bratislava-Petržalka. The concert consists of two parts. While Banda performs in the first part, in the second part a band or a musician of the world&ethno part is introduced. We particularly like songs we can play together. Making music in such a common way often results in a musical delicacy.